Prada renowned for its use of Color and also often unique visions of style for both men and women. Pillaging ideas from the past and reinvigorating for an often technical stylish update. The Prada customer is Elegant, trend setter rather than a follower and favors contemporary luxury. The latest sunglasses collection to be launched for A/W14 is the voice collection available to selected stockists such as www.sendoptics.com with their in your face bold coloring this frame will turn heads and turn your outfit to a true statement with the added embellishment of Swarovski crystals. Judge opticians Leicester power Sendoptics and we are proud to be an elite stockist. Remember even though it’s almost winter keep those sunglasses to hand especially if driving 28 deaths a year are caused from glare on British roads. Enter code Twitter330 to get an extra 10% discount to be ready for winter,ski cool and off the piste parties. Also this code is to Celebrate our loyal followers on Twitter,Tumblr,Pinterest,Facebook So Share the love and enjoy our gift for your support. Free shipping on all orders this weekend that is correct this weekend we are offering free worldwide shipping. This plus the usual tax free shopping for non EU customers. It has never been a better time to shop for sunglasses. Well LFW is in full swing and we have been glued to the coverage. Seems Sheer fabrics and pleating, elongated silhouettes, and patterns galore are the looks of the day Denim is reinvented and monochrome becomes even more sophisticated. Bloggers a plenty are writing about the success of this fashion week with it’s spin on wearable yet still creative themes. Are you watching the shows at all feeling like clearing out the wardrobe ready for S/S15 ? Linda Farrow has been the most popular of all Sunglasses designers for the London Shows and boy has there been some amazing frames from them. From the way they are going it looks like oversized and stylised frames in bold colors or translucent frames as much as solid frames. Paul smith has presented today and the collection is a great spin on modern classic with an effortless style a true triumph. Surprisingly Jasper Conran has updated activewear into wearable and desirable pieces if you get chance goto you tube for some of the shows well worth a look. Don’t forget through September www.sendoptics.com add FW14 to your cart receive an extra 10% off all sunglasses to get the front row look. Whether you are an addict or just watch the highlights or try to ignore it altogether it seems F1 has at the moment got us addicted for the drama in and out of the pitstop .For Lewis Hamilton and Nico Rosberg seem to be on the same team but are super competitive on and off the circuits. All that you do notice with regards to the drivers is how cool the sunglasses are that they all sport whether it's Prada Sport or major player that is everywhere is Oakley famous for it's performance sunglasses and easily recognisable o logo. White Juptier are the look or Fast jackets. For all your sporting sunglasses needs check out www.sendoptics.com add FW14 at the checkout to get an even better deal. Well summer is coming to a close for us here in the Uk whilst the southern hemisphere is enjoying the start of there summer. We have been enjoying a remarkably good September and lets hope it continues. Talking of September it’s almost close of NYFW and the clan are going to be heading over to London to see the offerings of our homegrown talent. London is not just about the fashion on the street or the catwalk it’s also about it’s unique energy and style. London has some of the most unique presentations and shows throughout the week in particular this September we are being treated to Tom Ford embracing technology by live streaming his show for the first time. Paul Smith will be pulling out all the stops with his ready to wear collection mixing his usual slant on cool with relaxed tailoring and print being some of the key features to his signature looks. The biggest differences between London and New York is not the designers but the collections they represent New York is more about selling collections where London is still commercial it is often seen as the more creative. This time of year it is important to keep your sunglasses to hand what with the bright sun but also with the lower cloud and UV levels. 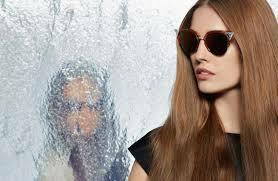 Thierry Lasry is a label renowned for it's craftsmanship and also it's retro/glam style. The label was born only a few years back but it was destined to happen with Thierry's parents being an optician and a designer what else was there to do. The label is popular among the fashion set and also celebrity's all ages all over the world. So make sure you are set for fashion week with a bonus 10% off all our sunglasses ranges simply add FW14 at the checkout. Well what a week ! The temperatures have been on the up here in the UK. We have been busy at www.sendoptics.com cheering on Andy Murray who has now sadly bowed out of Wimbledon. The Cornbury festival is on this weekend with a stellar line up for all the family. The festival itself is a popular family fixture for many, with great bands for everyone. The festival is more accessible to most than Glastonbury. The set that frequent the festival are the yummy mummy set with their trendy kids. Maxi dresses are a must, along with hunter wellies, Barbour and the obligatory sunglasses from www.sendoptics.com. To stand out in the crowd at Cornbury you want to try. 1 - Bottega Veneta- clear frame with the famous plaited leather effect the house is famous for. 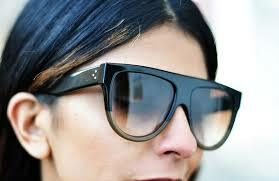 2- Celine Retro for those of you who need a slimmer frame with maximum impact try these for size. 3 - Diormetaleyes 1 - For you true fashion followers this frame has been seen on Lindsay Lohan many a time so we know they are great for covering up the evidence of a late night or two ! 4 - Emporio Armani Got to love the young Armani Label crafting quality and style with little quirks great for any holiday or event. 5 - Prada - The Baroque has been turned into a real show piece with encrusted Swarovski crystals. Very Dolly Parton. The frame is a staple favorite with both Beyonce and Rihanna, both of whom have worn all of next seasons trends to death already. According to Vogue, the biggest news of the moment happens to be in relation to big fashion, not the normal big labels but curves. Many labels are starting to cater for larger sizes. Now with the rise of blogging and social media campaigns, labels are having to adapt or die. blogs such as Girlswithcurves.com are helping to shape a style movement that is fast gaining ground. You may consider that some sunglasses are not suited to the larger face shape ladies, but think again here is the Judges' guide for buying and wearing your sunglasses. 1 - Consider the width is more than the depth of the actual frame. Fendi they have the ultimate in frames with a cats eye that is made up of a special unique double acetate. Many options from the king Karl including the 0017, the Iridia 0041 and the 0025. Miu Miu have the fantastic 10NS for adding angles to the face and instant glamour with style. Miranda Kerr owns the whole collection and constantly reuses these sunglasses. Also consider the Rasoir. You may have noticed a new addition to the homepage. Trustpilot . Your chance to review the service and products we provide,and it is your chance to have an honest say and give us a clue on how to improve. If you wish to keep up with the Judges happening's and for any further news on new lines and future offers, be sure to follow and like us on Facebook or simply sign up for our monthly Newsletter. Remember, lead, don't follow, and being one of the flock is never fun. Stand out and be proud! Finally it's here ...Glastonbury and Wimbledon.. so that means it's nearly July. At www.sendoptics.com we have had our busiest June ever with Isabel Marant for Oliver peoples selling like hot cakes in the past few days. The sunglasses themselves are of the usual high quality that has the A list coming back for more and more, and with lenses of pastel summer they are all year around. Celine continues to sell well with the Baby Audrey and Audrey favorites , the Celine woman is someone who is creative, comfortable in their own skin not afraid to steal the scene. The collection evolves to compliment the previous season you add pieces to create your Celine look. Encouraging individuality is the houses statement and with the sunglasses collection eagerly anticipated as much as the bags and clothing, the collection is known by all. For you Glastonbury kids you know there are pieces in all collections here are our predictions for what we think will be sported on the Pyramid Stage. You may have noticed a new addition to the homepage Trustpilot your chance to review the service and product it is your chance to have an honest say and give us a clue on how to improve and potential customers. If you wish to keep up with the Judges happening's and for any further news on new lines and future offers, be sure to follow and like us on facebook.com or simply sign up for our monthly Newsletter. Remember lead don't follow being one of the flock is never fun stand out be proud! You may have noticed a new addition to the homepage Trustpilot ... your chance to review the service and products we provide, and it is your chance to have an honest say and give us a clue on how to improve and potential customers. Remember lead, don't follow. Being one of the flock is never fun. Stand out, and be proud! Well it looks like summer is here, and in typical British style the grey clouds keep on rolling in. At least when the sun is out Judges', we are well stocked here at sendoptics.com for all your sunglasses needs. Well, the shape of the moment is of course warring between two shapes for women...the classic cats-eye, updated and up-glamoured for this season! Consider the Fendi Iridiawith it's angles so far out that it looks like a 'disco ball meets cats eye' with lightning strike sides. Prada has its new take, and Celine has completely thrown it out with it'sPapillion. The new Cats eye will continue to evolve, and add glamour, year in year out this seasons must have is the Fendi Iridia..... Even i want a pair of these babies. Havana is not just a country this year, but the star of the show in sunglasses with it's mottled browns that compliment all skin tones. Shapes are retro huge, and all about making a statement with being classic all in one. Think the Celine Shadow, Celine Original, or Celine Audrey. The Bottega Veneta BV 161S are classic sunglasses that will last, and also keep classic and classy all in one breath. Weird Science - No , I am not talking the classic 80's film, but bold frames with heavy temples and colours in black,silver or bronze. Creating a look of function and form, typical Bauhaus attitude or look. Celine Original, Dior Homme Blacktie 182s LUH. And not forgetting anything by Cutler and Gross, Hardy Amies and Paul Smith. So just for fun, I have added the face shape advice below, and this applies for both men and women. Overall, the look is.... ditch metal, think plastic fantastic.. glorify the 50's and adore Portofino. Dolly is doing Glastonbury this year, and I bet she is going to be wearing stilettos, and a pair of Thierry Lasry Orgasmy to rid the flashlights of the paps, and you know she will be legendary. Wimbledon will be adding no end of sports luxe... Talking of Sports Luxe Oakley are celebrating there 30th birthday and re-issuing some of their best loved frames. I can't wait to see whats next for them. The frame for this face will elongate and slim the face. Sunglasses should be slightly wider than the broadest part of the face. Soften the roundness of the face and add definition with soft, angular, rectangular styles or double brow styles. Higher temples will create a longer profile. Sunglasses with brow bars also pull the eye upward, making the face appear longer and slimmer. This face shape has wide or high set cheekbones with a narrow forehead and chin. Oval sunglasses will soften the contour of the face, although softly curved square frames will work as well. It is essential that the styles are no wider than the top of the cheekbones. This face shape consists of a strong jawline, a broad forehead and wide cheekbones. Reducing the angles with gently curved styles that will give the face some definition such as cat-eye styles. The classic oval or round also works well for this face shape. 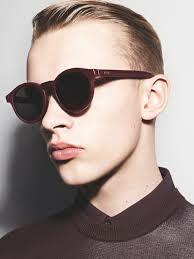 Widen and shorten the face with sunglass styles that do not extend beyond the widest part of the face. Round or square shapes will look great on this face. Frames with short horizontal and long vertical lines also work. Decorative or contrasting templesadd width to the face. This face has a narrow jaw and a wide forehead. Soften the lower portion of the face by accenting the eye area. Styles such as cat-eyes should angle outward at the top corner and be wide enough to balance the jawline. You can also try metal frames with rimless bottom. You may have noticed a new addition to the homepage... Trustpilot... Your chance to review our service and products and it is your chance to have an honest say and give us a clue on how to improve and potential customers. For each review we will give a unique 10% off next purchase code. If you wish to keep up with the Judges happening's and for any further news on new lines and future offers, be sure to follow and like us on facebook.com or simply sign up for our monthly Newsletter. and follow us on Twitter and Facebook . Remember, lead and don't follow, and being one of the flock is never fun. Stand out and be proud! Great article from Kayture featured on bloglovin . and in stock for your holidays! We’ve still got many beautiful shots from Cannes to show you, but for now we’re back in sunny Paris! 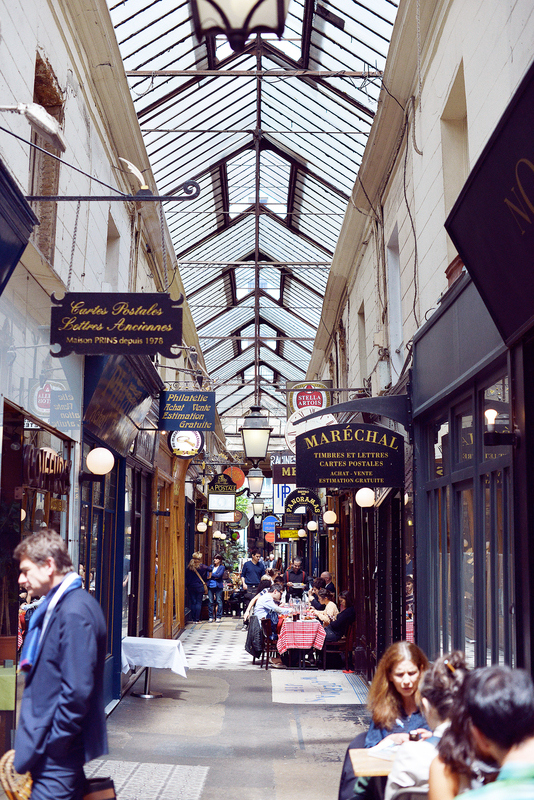 We’ve been spending a couple of days in the french fashion capital of the world in order to go through some important meetings and finalize some project initiatives before a big trip which I haven’t told you much about yet, but be sure to learn some great news this week. Things are moving very well and I am so excited to tell you all about it once everything is confirmed, booked and settled down. So definitely stay updated. We got back in Switzerland for the week-end but from Monday and until Thursday we’ll be strolling through the gorgeous streets of Paris, shooting new images and finalizing all the last details before our big trip. We’ve spend two incredible days with the KayTeam which has been growing considerably these past couple of months. I am always so impressed to see how quickly everything is moving and all the work we do on a daily basis, we needed more hands and more brains to be super, mega effective and on top of every single mail, contract, every single article, every single project. Right now we’re 6 and working our little butts off to make the best out of Kayture going global. There are so many little details to fix. On our arrival in Paris, the rain was poring like mad. Luckily the pieces I took with me were perfectly weather appropriate. At least, that’s what I thought… Turned out, the next day the sun showed up and well, there I was, hanging out with my black trousers, melting like an ice cube in a hot latte. I paired a nice, loose cream top to it with a new Shourouk necklace from Monnier Frères (obsessed with this brand so much) and these stunning heels from my Italian shoe crush brand Fabi that I’ve been wearing since all these years. I love this little golden detail and the simplicity of the structure. Isn’t it such a perfect pair for summer? Swear that I wore it all day and didn’t have a single blister. Italy knows how to make perfection out of a shoe.